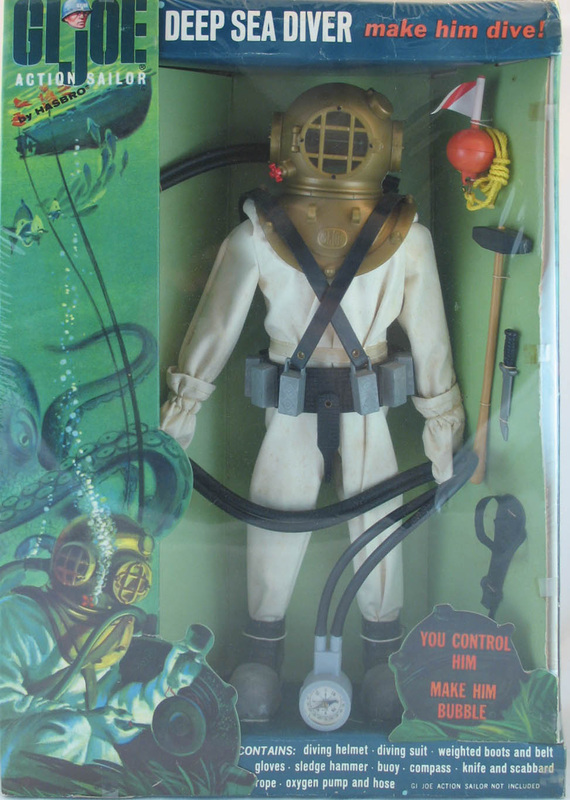 The Deep Sea Diver (7620) is one of the top sets of its era. 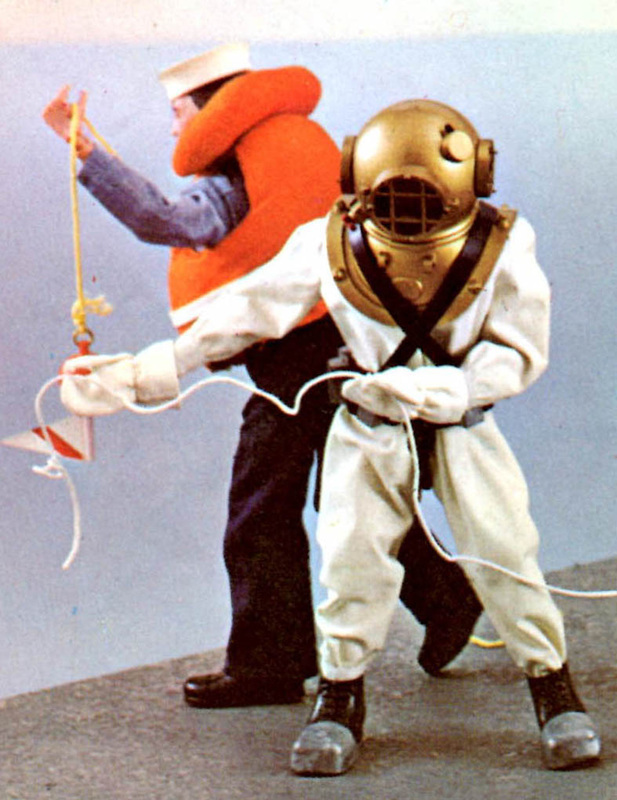 It was designed so air blown through the hoses can inflate the suit and float your Joe to the surface from the depths of the pool or bathtub. Incredibly popular, the set ran (with a few changes) from 1965 right through the Adventure Team era, last being available in 1973. The spin above features a rare first issue version, see below for more details. First released as a window box in 1965 (above), it was re-released in a 1968 photo box (below). 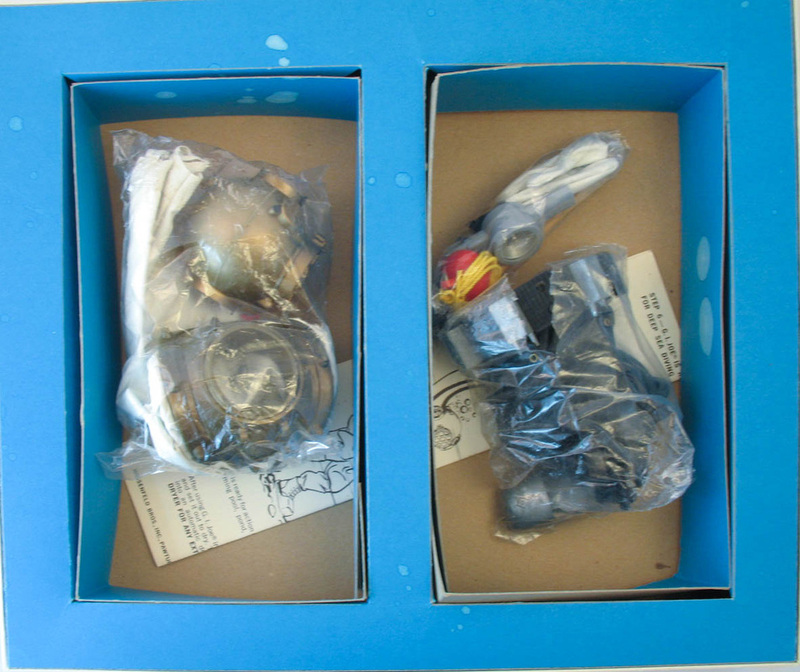 The spin above is the standard military era version of the set, with the helmet molded in metallic gold plastic. The very earliest version of the DSD has some major differences from the standard version. 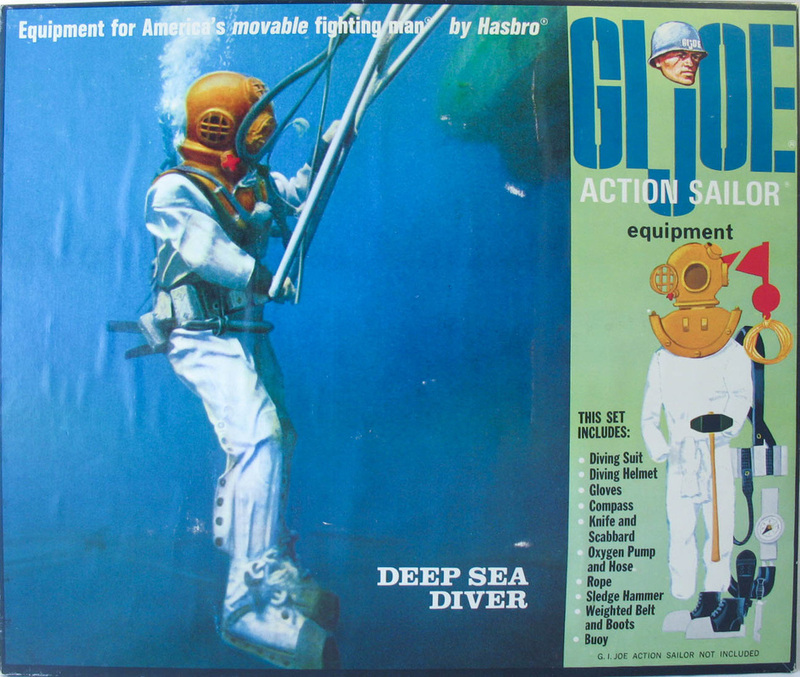 The 1965 catalog shot left shows the early version of the set. 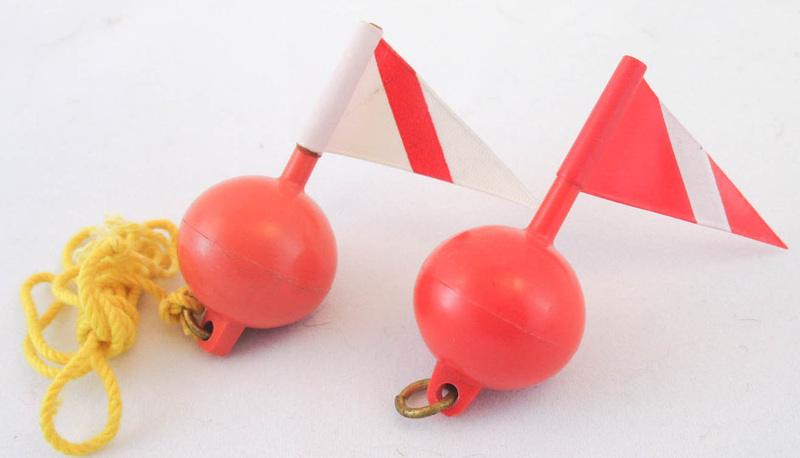 The early version is notable for it's buoy with a white flag instead of the more common red flag and square-toed as opposed to round-toed boot weights. The most significant difference is a helmet molded in pale yellow plastic and painted gold. 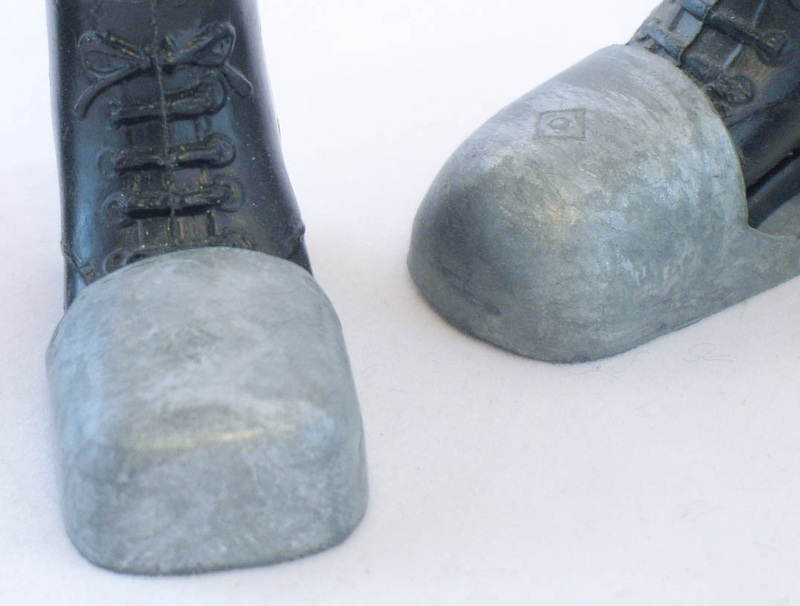 The white flag shows up periodically, as do the square boot weights, though the helmet is very tough to find. The gold paint scratches easily, so those that appear are often very worn. The suits for all DSD sets have a rubberized interior which, like the frogman's wetsuit, tends to harden and disintegrate, making pliable suits tough to find.